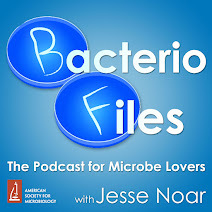 This episode: Bacteria affect fruit fly behavior by reducing their need and craving for protein-rich food! Thanks to Dr. Carlos Ribeiro for his contribution! Leitão-Gonçalves R, Carvalho-Santos Z, Francisco AP, Fioreze GT, Anjos M, Baltazar C, Elias AP, Itskov PM, Piper MDW, Ribeiro C. 2017. Commensal bacteria and essential amino acids control food choice behavior and reproduction. PLOS Biol 15:e2000862. How good are commercial microbiota tests? Can they influence our preference for foods at all? Is all this good for fly? 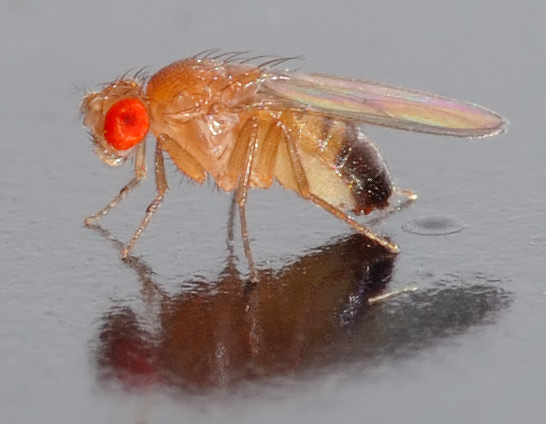 Need for yeast can influence other behaviors in flies, like risk-taking; thus bacteria too? Must not need all the yeast they're eating? I'll put a link to the lab website in the show notes! We just published a paper in which we show that two gut bacteria in the Drosophila melanogaster fly alter the food preferences of the flies. In our lab, we want to understand how animals decide what to eat. Or in other words, how does the brain know which nutrients are missing in the animal, and use that to then change its food preferences and then make that the animal eats that nutrient to compensate for its lack. In fruit flies, one of the main nutrients is actually yeast. That's kind of the steak of the animal. That's where it gets proteins, vitamins, and other important nutrients from. And we had shown previously that flies have a strong craving for yeast when you remove yeast from their diet. And so we started asking, what induces that craving for yeast? And for this we turned to a new reagent, which we had co-developed with Matt Piper, which is a fully synthetic diet for flies which recapitulates all nutritional needs of the animal. And because this diet is fully chemically defined, we can remove all different nutrients and look what induces craving for yeast. we identified two specific bacteria, Acetobacter pomorum and either Lactobacillus plantarum or Lactobacillus brevis, which when they're present in the animal, the animal is protected from the physiological effect of lacking amino acids, which is a reduction of egg production, and also there is no yeast or protein craving induced in the animals which have these two bacteria in their stomach. Which means that these two bacteria are able to talk to the brain and suppress yeast craving. So somehow these two gut bacteria when they are present, they kind of reprogram the metabolism and the behavior of the animal so that they can better deal with the lack of essential amino acids, by producing more eggs when they don't have essential amino acids, and also that leads to the fact that they don't induce a yeast appetite and that's good and beneficial for the animal because eating a lot of protein actually shortens lifespan. We think that these findings are really important because first of all they are the first proof that gut bacteria, the microbiome, can have specific effects on food cravings. And also we think that it generally shines a light on possible mechanisms of how gut bacteria could alter behavior. Which is by tapping into the nutrient-sensing abilities of the brain and therefore altering the behavioral output of the animal. and we are really excited now to be recruiting a microbiologist to join the lab, to really now start working on this fascinating topic, which is microbial genetics and the microbiome, and I think we have a great system to understand how microbes affect behavior.